Valpak of The Lowcountry can help your business reach as many as 50,000 qualified households that are occupied by long-term residents. Our shared direct mail concept, bolstered by our digital marketing services, makes local advertising affordable and effective. 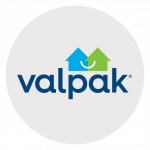 Partner With Valpak today to improve your local business presence. Bursting with savings consumers appreciate, our Blue Envelope of coupons brings a bundle of value to everyone involved. Each company that advertises in the envelope invests just a fraction of what they’d pay if they mailed to the same number of households individually. Our direct mail printing work for all types of businesses, including restaurants, health and wellness, automotive, financial service and home improvement. You choose the mailing areas and frequency – monthly, seasonally or as needed, and ad format – single-panel and multipanel coupons, circulars, unique imprinting, cardstock and more. We’ve done the research on local neighborhoods and have compiled insights many small businesses just don’t have. Valpak of the Lowcountry can help you reach consumers in Bluffton, Beaufort, Port Royal, Fripp Island, Sea Pines, Lady’s Island, Okatie, Sea Islands, Sun City and many surrounding South Carolina communities. For specific dates and coverage, contact your Valpak of The Lowcountry representative.